Microsoft has announced that new previews of Windows Server 2016 and System Center 2016 are both out now and represent the debut of containers in the Windows ecosystem. Windows Server 2016 Technical Preview 3 and System Center 2016 Technical Preview 3 are both ready to download now with Windows Server Containers arriving to allow administrators to test them out. "You've probably seen the momentum building around container technologies as a new approach to simplifying the development and deployment of applications. We're committed to making containers a part of the modern application platform available to our customers in the 2016 wave of datacenter solutions," read the release. 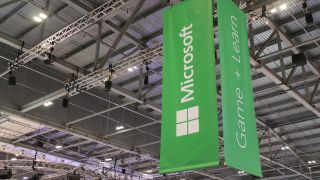 Alongside the containers, Microsoft has also added a range of new functionality options for the Nano Server that build on what is available in Technical Preview 2 and the software-defined networking features have also been given an uplift. Security isn't left out and TP3 includes updated builds of some of the security innovations coming in the release following this one. In TP3 you can also test the creation of a shielded virtual machine from a signed template and take a peek at the new Host Guardian Service (HGS). For those not in the know, the HGS enables administrators to identify legitimate hosts. Speaking of administrators, a revamp of the management aspect of the two platforms includes various enhancements that make it easier to manage the capabilities that will play a crucial role in Windows Server 2016. Microsoft has also released Remote Server Administration Tools for Windows 10 Client, which allows remote management of Windows Server 2016 Technical Preview, Windows Server 2012 R2 and Windows Server 2012. Microsoft remains on track for the launch of Windows Server 2016 at some point next year and it has so far failed to elaborate on when exactly that might be.